Overall underexposed to hold highlights in clouds. Water murky, normal for this location. Drops of water on dome port. Underwater image about 30% larger due to light refraction. Not much color in clouds. Layer for the air side. Layer for the underwater side. Retouched water drops on port. Retouched to correct light refraction distortion. Add color to sky and water. This lifestyle image was shot just north of Miami, Florida at sunrise. The water is normally very murky, this is good compared to normal and it is poor in reality. I have the models arrive early so they can get to know each other as I want a real boy/girl look. 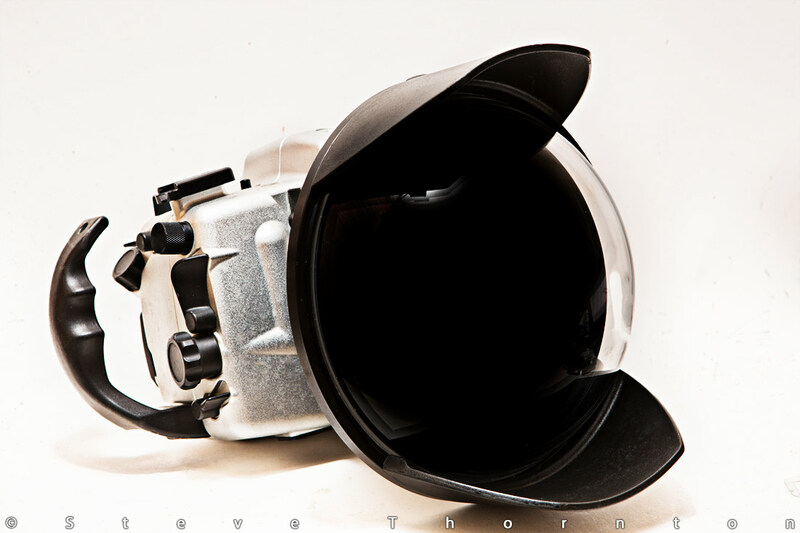 Seacam housing with a 9" dome port. Sunrise light with a few clouds. 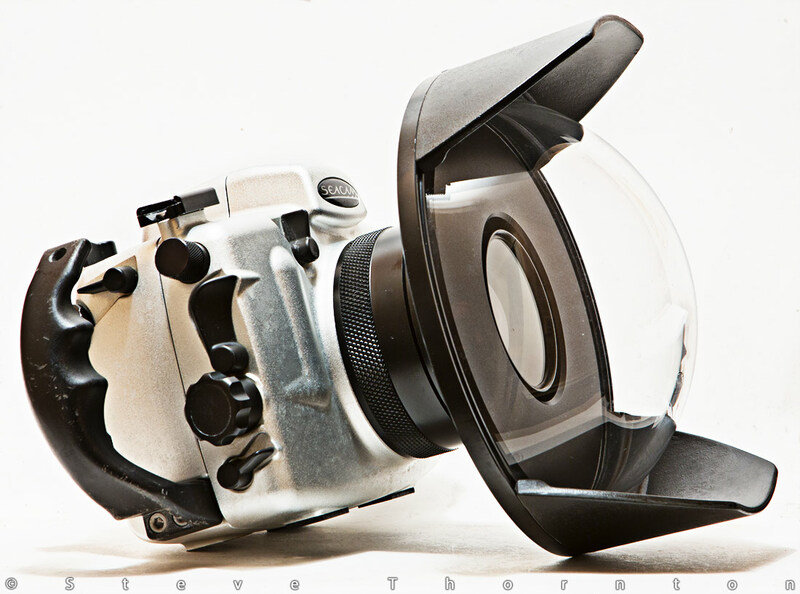 The housing and dome port - when shooting "Over/Under photos, you want to use the largest dome port you can buy. This port is 9", (229mm) and is the largest diameter mineral glass dome port commercially available.